The above photo is one of the cafes at Casterton Golf Course, you can see rest of ride photos when the webmaster last visited this cafe at this link. 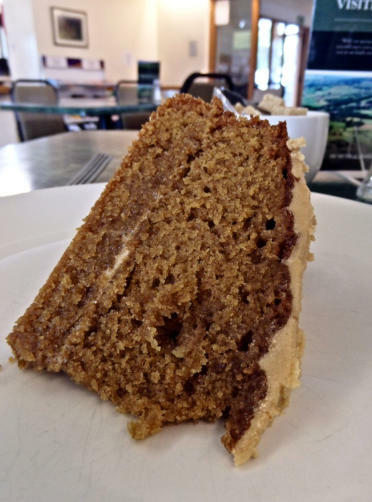 The Cafe at Casterton Golf Course Address: Casterton Golf Course, Sedbergh Road, Casterton, near Kirkby Lonsdale. Phone number: 015242-71592 Opening hours: Open seven days a week from 8am to dusk (8.30am from Oct to Feb). Website: http://www.castertongolf.co.uk/. You can find more photos of the cafe in the following photo galleries on the website at this link. The following cycle routes stop at the cafe: Click here for full list of routes. You can view Google map showing where you can find Casterton Golf Course at this link. You can find more photos of the cafe in the following photo galleries on the website: 31st August 2015 ride to Dent. The following cycling routes stop at the Cafe: A 49.8 mile ride to Dent.